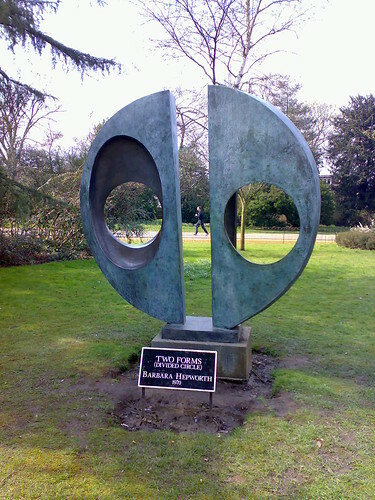 This Saturday, 29 June 2013, come on our latest easy going ride when we will be looking at the outdoor works of four of Britain's greatest modern sculptors: Epstein, Gill, Hepworth and Moore. 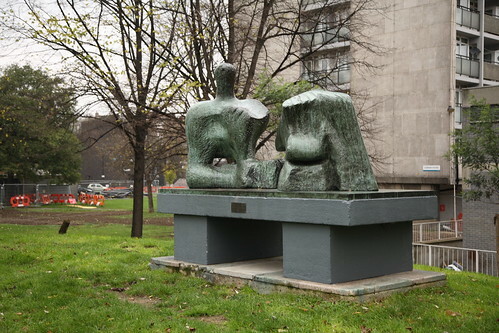 Jacob Epstein, Eric Gill, Barbara Hepworth and Henry Moore ushered in a new era of modernism in first decades of the twentieth century, all taking sculpture out of its traditional locations into the public arena including housing estates. All had an impact on the London cityscape that is still obvious today. Join us for a fascinating ride around the works of these great public sculptors. Meet 10.30am for 10.45 departure on Saturday 29 June 2013 outside the Charlie Chaplin Playground, Bolton Crescent, SE5 (on the edge of Kennington Park: see Bolton Crescent map). The ride will last all day with a lunch stop. The ride will be led by Allan Sutherland - contact atsutherland@freeuk.com for further information.